James Arden Grant RP was born in Liverpool in 1887 and studied at the School of Art there, where he also later taught. He continued his training at the Academie Julian in Paris and in London at Central Technical School, and eventually became vice-principal of Central School of Arts and Crafts. In the years before World War I, Grant was a member of the Sandon Studios Society, the social hub for Liverpool's artistic community which also counted fellow Aero painter Henry Marvell Carr among its number. Grant married Ann Stringer Dawson in 1912, and a son, Ian, was born in 1925. In 1932 Grant became a fellow of the Royal Society of Painter-Etchers and Engravers. He was also President of the Pastel Society from 1945. 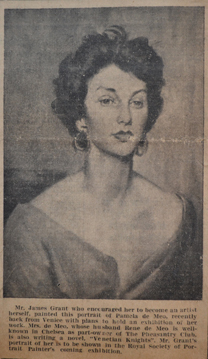 A portrait by Grant was singled out for praise in the Glasgow Herald's review of the Society's Annual Exhibition in 1959. In 2001, Sothebys sold the contents of 41 Ladbroke Square, the home of Ian Grant, including many of his father's pictures. Ian had trained as an architect, was a founder and first secretary of the Victorian Society, and led the restoration of many important interiors, including the Palace of Westminster and the Royal Albert Hall. He died in 1998. Grant completed at least two commissions for the Aero campaign. 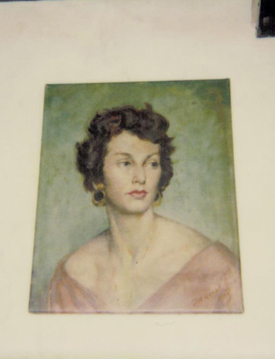 One of his sitters was the artist and performer Pamela Synge, then Pamela De Meo, whom he painted twice. 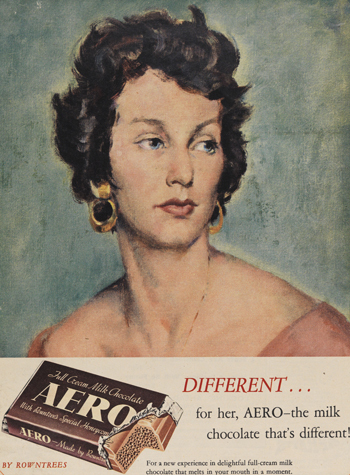 His first portrait of Synge was bought by J. Walter Thompson and featured in Rowntree Aero chocolate print advertising in December 1955, and was the only Aero portrait to feature in an ITV commercial during the same year. This original portrait is now lost. 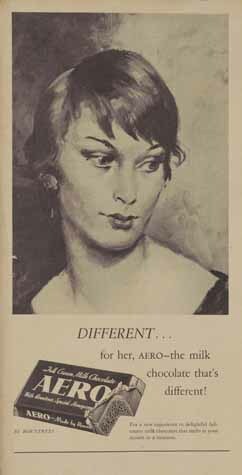 Aero television advert, Portrait - The milk chocolate that's different, That's nice (1955) B&W, 1955. By permission of Yorkshire Film Archive. 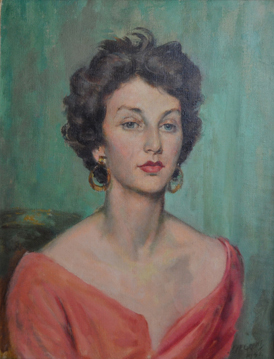 Mrs Rene De Meo [No.2], the sister portrait to the Aero advert, was also shown at a Royal Society of Portrait Painters exhibition in 1955 and is owned by Synge. A newspaper article kept by Synge from 1955 (pictured) refers to the portrait and states that Grant 'urged her to become an artist herself'. 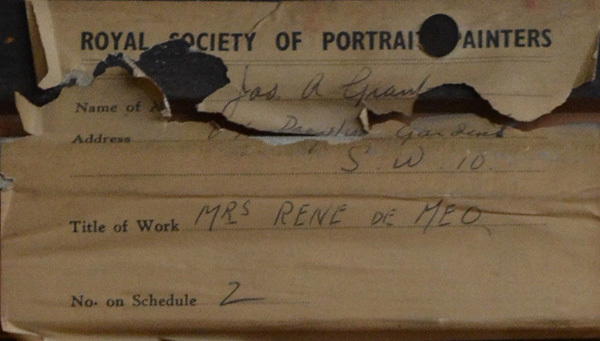 Label attached to the back of Mrs Rene De Meo [No.2] by Grant. By permission of Pamela Synge. Grant's second commission for the Aero Girls campaign is titled Elaine. The sitter remains unknown. The portait was also published in Aero adverts during 1955 and the original painting is now held in the Rowntree & Co. Ltd archive at the Borthwick Institute for Archives. Ion S. Munro (1959) Pastel Society Exhibition, Glasgow Herald, January 19, 1959. Retrieved 14 May 2014. Victoria & Albert Museum Collections. Retrieved 14 May 2014. Hermione Hobhouse (1998) Ian Grant (1998) Obituary, The Independent, Thursday 10 September 1998.